Is Buying Student Accomodation A Good Investment Strategy? Is Buying Student Accomodation A Good Investment Strategy? 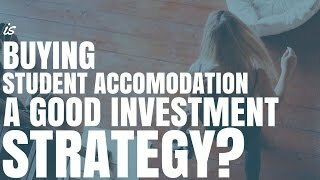 Is buying student accomodation a good investment strategy? You generally get a higher than average rental yield but are the rewards worth the risks? Is buying student accommodation a good investment strategy? When you purchase a property and rent it out to uni students, you can generally get a higher-than-average rental yield for the area. But is student accommodation worth the extra effort and the extra risk that is associated with it? Hey, I’m Ryan from OnProperty.com.au. And the reason why we’re talking about student accommodations today is because I got an email from Tyler – that I’m going to read out to you – where he asks, specifically, about student accommodation. I hadn’t done an episode on it so, I thought, what better time to cover it than right now? And to answer Tyler’s question. So, I’m going to read you out his email. Then, we’ll get into a discussion about student accommodation; what’s the benefits, what’s some things that you need to consider and what are the risks associated with it? I have been listening to your podcast for a couple of months now. 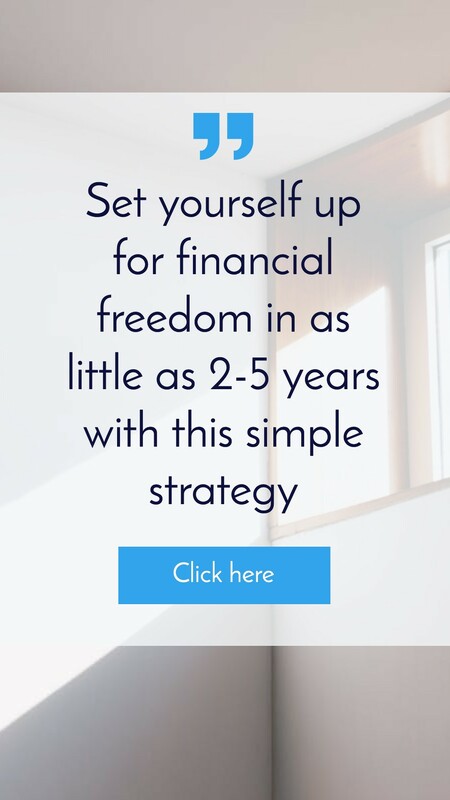 I have found them very helpful in learning about what to do to buy my first property. Well, Tyler, thank you for listening to the podcast. Thanks for your encouraging words, glad you found it helpful. I’m looking for my first home. I’m not 100% sure if I should buy an investment first or buy to live in for a while and build up my equity and then rent it out afterwards. Good question, again, a lot of people consider that. My main question today is, what are your thoughts on buying student accommodation as an investment? As I recently saw a listing that would be getting 7.7% return just on rental from the asking price. I have not done a full cost analysis on it yet. Do you think this can be good investments or are there issues involved? I didn’t see a podcast on this topic from you. So, I wanted to ask about it and maybe you can make a podcast on it. Well, Tyler, I am making a podcast on it and I’m here to answer your question about student accommodation. First, let’s talk about why people invest in student accommodation. People invest in student accommodation because you can get a higher-than-average rental yield for the property than you would if you invest it in regular property in the area. Now, student accommodation come in multiple forms. There’s one-bedroom apartments or studio apartments; which tend to be in the inner city, right near the universities. And these are kind of dorm-style apartments that you rent out just to uni students. So, there’s those. There’s also townhouse complexes that are almost exclusively rented out to uni students as well. So, you’ve got a group of townhouses and the majority of those townhouses are rented out to uni students. And, obviously, they’re going to be near a university as well; tends to not be in the inner city but might be in a smaller city. Something like New Castle or Wollongong or something like that. You’ve then got houses that aren’t in a complex or anything like that, but you’re renting them out room by room to students and you’re presenting it as student accommodation. So it’s not a different property, it’s still a house. You could sell it as a family house or rent it out as a family house but, generally, these houses have more rooms than the standard house. Rather than being 3 or 4-bedroom, they might be 5 or 6-bedroom. And the goal there is that if you rent it out room by room, you can rent out a property for more than what you can rent out for if you just leased it to the general market. So, the benefit of student accommodation is the higher-than-average rental yields. There are some extra cost that you need to take into account with student accommodation. So, you’ve got extra vacancy rate. So, if I’m renting out a property and I’m looking in an area vacancy rate’s 3% or 5%. My property might be vacant for a week or 2, depending on how many tenants I turnover. If I keep a good tenant, they might stay there for years and years. When you’re renting out student accommodation, there’s a lot more flux. Because students will be living in the area in order to be close to uni. When they stop attending university, then they’re likely to move out of the area. This happens when they either finish their course or it happens during the holidays where they go back home to be with their family. So, generally, you’ve got a higher turnover in student accommodation. People moving in and out, so people don’t stay for as long. And you’ve also got longer periods of vacancy when university isn’t running. Now, in most cases, university doesn’t run in December, January and February. So, university tends to start around March and end some time in November. I’ve never actually been to uni. So, I’m not 100% sure but you’ve got 3 months of the year there where you’ve got a high risk of vacancy. So, when I publish student accommodation to my membership site – On Property Plus, which you can find at OnProperty.com.au/plus, I list a new positive cash flow property in there every single day. And yes, I do occasionally list student accommodation. But when I do that, I take into account a 30% vacancy rate on the property because vacancies tend to be higher. Generally, as well, property management fees tend to be higher for student accommodation. Especially if you’ve got a house and you’re renting it room by room. Obviously, there’s more effort that goes into this rental than would into a standard rental where you’re only dealing with 1 tenant, who might turnover every 6 to 12 months or more. And so, what a general real estate agent would charge for a normal place is at 6% to 8% in most areas, up to 12% if you’re in a rural area. But with student accommodation, it can be much higher than that. 10%, 12%, 14%, 16%, 17%, those sorts of figures. So, you’ve got higher vacancy rates or a high chance of a vacancy rate and then you’ve also got higher property manager fees. And so, we need to look into that. And I’ll do some calculations using the Property Tools Calculator in a little bit. So, basically, the benefit is you’ve got a higher-than-average rental yield. But then you’ve got the negatives of higher vacancy rates and higher property management fees. So, this can be an issue. So now, let’s look at the different types of student accommodation and some of the pros and the cons associated with those properties. What I’m going to do is I’m going to got to Real Estate Investar, which is a property search tool, it’s a paid tool. You can check that out through my affiliate link, if you want. Go to OnProperty.com.au/rei for Real Estate Investar. You can check that out, I’m a member there. I think I pay $99 a month to get access, I signed up for 2 years. I’m going to go into the Investar Search and we’re going to specifically look for student accommodation. Real Estate Investar is like the Google of the real estate market. Basically, they look through all the property listings and you can search for key terms that are in there. So, if I go to keyword strategies here, I’m then going to go to positive cashflow and what I’m going to do is I’m going to search for the keyword student accommodation. Also, what I’m going to do is make sure that the property yield is a minimum of 1%. So, this is just going to cancel out any student accommodation where they haven’t mentioned what the rental income will be. The reason I’m doing this is because I want to be able to analyse, is this going to be positive cash flow or not. So, let’s go ahead and click search on that. And we will then get this result. We can see that it’s showing 1 of 163 matching properties. We can see a whole bunch of properties there. What I’m going to look at today, there’s a house in Lorna Street in Waratah, New South Wales. So, let’s look at that. There’s a townhouse in Shortland in New South Wales; which is like New Castle Area. And then, we’re also going to look at this really small unit in Hawthorn, which is in Victoria, in Park Street, Victoria. They’re the 3 that we’re going to look at today. The first one, this one in Hawthorn; which is in a unit block. We can see that it’s a 1-bed, 1-bath, parking; and it’s just student accommodation. This one is not too bad. I know that there’s a lot of properties – like, I’ve specially seen some in Ultimo, where rather than a standard 1-bedroom unit; which appears to be what this is – it’s actually a studio or it’s like a 1-room with a loft. What I see as the risk – not so much with this one in Hawthorn but with another property where it is a studio unit or it is dorm-style student accommodation – is that the only people who are going to be buying that property are investors. So, students aren’t going to buy it. Because they’re just going to rent it because they’re only going to uni for 3 or 4 years. And homeowners aren’t going to buy it because very few homeowners will live in a studio apartment in amongst uni students. So, you’re limiting your market just to investors. 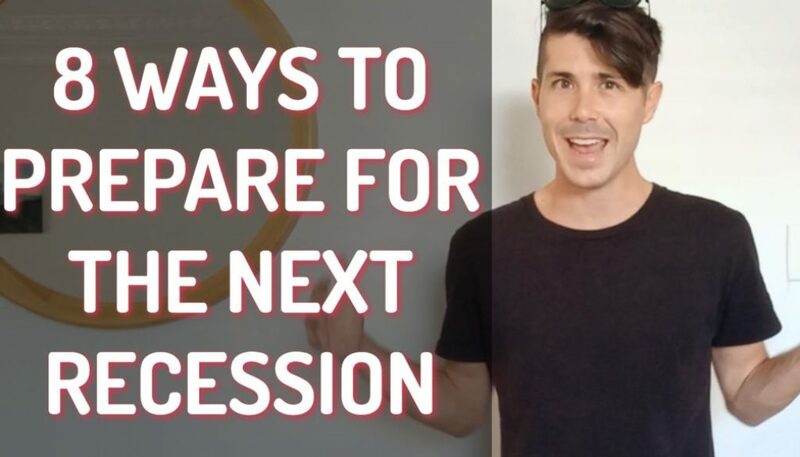 When I was talking to Ben Everingham, who’s my recommended buyer’s agent, he was saying, generally in Australia, investors make up about 20% of the property market and homeowners about 80%. So, all of a sudden, you’re looking at only being able to re-sell your property to 20% of the market. Now, the issue with that is it can definitely limit capital growth. And also, if you’re buying a property that is a studio or a very small property, then it may limit your lending options on that property. So, definitely some risk with that dorm-style, single-room accommodation in that it doesn’t appeal to the mass market. If you wanted to go ahead and sell it, you can only sell it to investors. You can’t turn around and sell it to homeowners. It’s basically always going to be a student accommodation and there’s nothing you can really do about that. So, not a big fan of those. Also, with these smaller ones, one of the benefits is that it’s cheaper but then because it’s in a unit, you’ve got body corporate fees, which is going to affect the cash flow of that property. What I’m going to do, is I’m going to bring up my property calculator, which you can find at PropertyTools.com.au. You can get access to this calculator, starts at $5 per month, if that’s something that you guys are interested in. What we’re going to do is we’re going to load up this calculator – and I apologise because my internet is pretty slow today – and we’re going to go through and we’re going to analyse this property in Hawthorn and see, well, is this going to be a positive cash flow property or not? And we’ll do that for the one in Waratah and we’ll also do that for the one in Shortland, as well. What we need to know, firstly, is the purchase price of the property, which we can see is $235,000. And then, we need to know the rental income, which it’s saying here $350 per week. So, obviously, we can see there, pretty decent rental income. So, here we are, in the Property Tools Calculator. So, purchase price was $235,000, estimated rental income was $350 per week. So, that’s a rental yield of 7.74%; which if we actually go back to Tyler’s email, he was saying he could be getting a 7.7% return. That’s exactly what we’re looking at here. And we can see, at an interest rate of 5% and really rough estimates with the deposit at 20%. Weekly cash flow is about $48 per week or $2,500 per year. So, this looks all right from the offset. But what we haven’t taken into account is potentially higher vacancy rates. Property manager fees probably won’t be higher on this one because we’re renting it out to just one person. But vacancy rates could be as much as 30%. And we can see that as soon as I put in vacancy rates of 30%, the cash flow before tax has actually gone to -$40 per week or -$2,000 per year. Now, we also need to take into account body corporate fees. I’m not sure if they list them in here. No, they don’t list the body corporate fees in there. So, basically, what I’m going to do is just a rough estimate of $500 per quarter, which is $2,000 per year in body corporate fees. This helps to maintain the unit, all the common areas and things like that. So, we can see once we’ve done this, weekly cash flows drop to -$77 per week or -$4,000 per year. 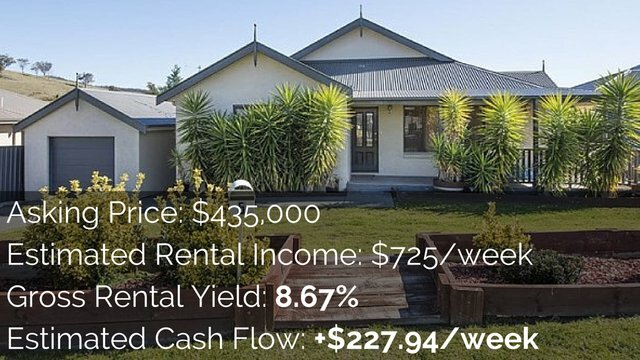 So, you can see that even though rental yield is high, the chance of a cash flow in this property is pretty low. Even if we used a standard vacancy rate or 5%, our cash flow drops from about $50 per week to maybe around $9.50 per week or $10 per week if the property is rented the entire time. So you’re getting $500 per year, which is a cash on cash return before tax of less than 1%. We can see that’s not super epic and that’s not really what we’re going for. So, you can see the issues there with those smaller properties. Now, let’s go and have a look at one of the townhouses, so, this one in Shortland. Large purpose built student housing. So, this is purposely built for students, this property. Again, similar issues to the small one in Hawthorn is, this is always going to be a student accommodation. It’s going to be hard to rent this property to a family and then it’s likely going to be surrounded by other student accommodation. So, you do need have issues there. Purchase price, $590,000. Rental income of $1,000 per week. Just trying to work out if this is in a complex or not. A new freestanding home, so this one isn’t actually in a complex at the moment. Alright, so, let’s have a look at this one. It’s a duplex, basically, in Shortland. So, if we go back to our calculator, the purchase price for that one was $590,000. Rental income of $1,000 per week and let’s go ahead and get rid of that strata/body corporate. So, we can see now that doing very rough estimates, interest rate of 5%. Weekly cash flow on this one’s about $350 per week or around $18,000 per year. That’s pretty exciting, that’s a cash on cash return (before tax) of 13.51%. Now, you also need to take into account with this one, is that this is a 6-bedroom house. Now, are you going to have every single bedroom rented out, 100% occupancy at every point in time? No, you’re probably not going to. Also, with this one, this says you can instantly plug in an instant revenue stream of more than $1,000 per week. I don’t know if they’re renting this to a group of people and you’re getting $1,000 per week or if they’re renting it individually. But, again, if we take into account a larger-than-expected vacancy, so, let’s say, 30%. 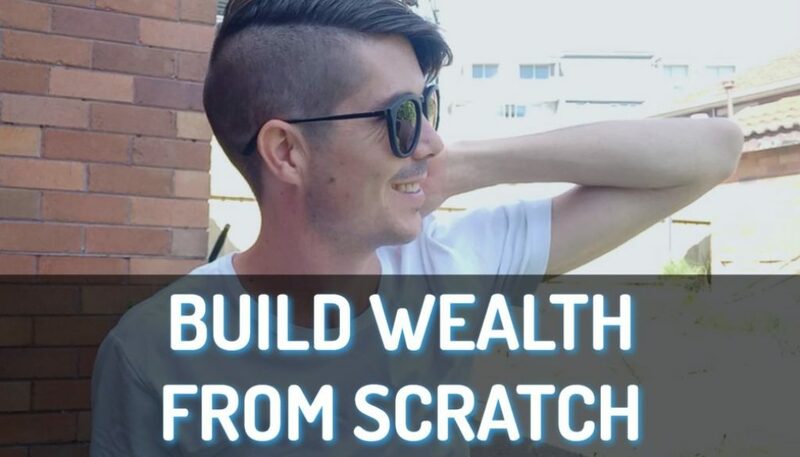 We can see that our weekly cash flow has instantly dropped from $18,000 a year to $5,000 a year. And our cash on cash return (before tax) has dropped from somewhere around 13% to around 4%. So, if we take those vacancy rates into account, there’s a big different there. And then if we adjust our property manager fees to maybe 12%, we can see it drop again to $40 per week or about $2,200 per year. And our cash on cash return’s now dropped to 1.66%. So, on the surface, while it looks like a ridiculously awesome cash flow property, might not necessarily be that. I’m making some big sweeping statements here about 30% vacancy. Obviously, you need to do your research into this. That is not a hard and fast rule of what you’re going to achieve every time. But issues that I have with a property like this, better than your single unit dwellings but, again, you’re only going to be able to sell to investors. It’s purpose made for students, which means it’s not going to appeal to the general market when selling the property. The last one we’re going to look at is one in Lorna Street in Waratah, New South Wales. Basically, this one’s saying it’s just like a 4-bedroom house, I’m pretty sure. Perfectly configured for the student lifestyle. So, it’s not a house that was made for students. And if we have a look at the pictures, we can see that it’s a pretty old and tired house, basically. It’s got 4 bedrooms, it’s got your standard living room, here’s your bedrooms here. Each bedroom has its own aircon unit; which, I guess, students would probably like because you’re going to spend a lot of time in the room. But, it’s just a normal house. That’s what I like about this one, is that it’s just a normal house. And this means that when it comes to re-sale for the property, yes, you could market it as student accommodation but you also have the option of actually marketing this as a normal house that someone would go ahead and live in. Let’s do the figures on this. This is for sale for $390,000 and approximate return of $600 per week. So, let’s go into our calculator and we’ll do $390,000 and then $600 per week. And then let’s go ahead and change our property manager fees and our vacancy rates. We can see that the expected estimate weekly cash flow of $151 or about $8,000 per year. Cash on cash return of about 8.2%. And then, we could go through and let’s say we’re renting in room by room, property manager fees were 12%. Well then, things drop to $6,000 a year, cash on cash return of 6.25%. And then, again, if we look at our expected vacancy and we really add that up, well then, we move into a negative situation. If we change that to 30%, we’ve now gone to a negative cash flow of about $35 per week or about -$2,000 per year. We can play around with these figures if vacancy was only 20%, it moves into positive cash flow again. So, look, you need to do your research on student accommodation. 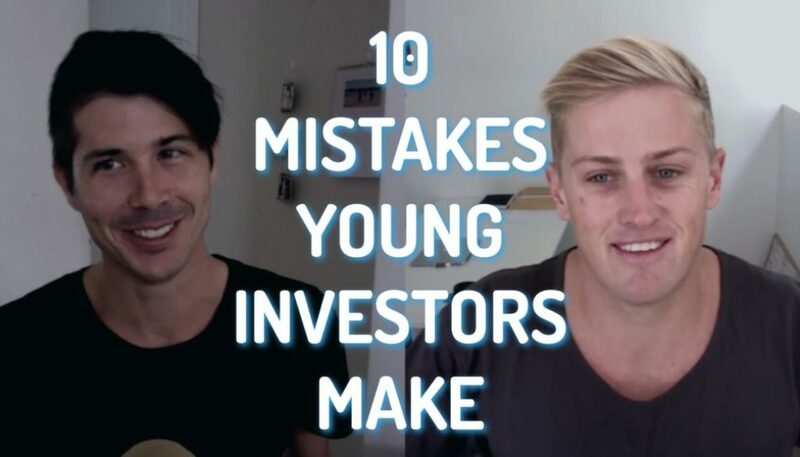 I am cautious around student accommodation, that is just your single rooms or houses specifically designed for students because you’re limiting your re-sale value because you can only appeal to investors in that market. I do like properties like this one in Waratah where it’s a normal house but because its close to the university, they can rent it out for student accommodation. So, there’s the benefit there if you can get the higher rental yield and then, hopefully, you can work out a way to keep those vacancy rates low. Another issue, you may find it hard to find a real estate manager who will manage properties on the room-by-room basis. So, you may need to do it yourself; depends on the area, you’re going to need to approach them. They’ll either charge you more or they won’t do it at all. So, there’s some analyses on some different student accommodation options. Obviously, the benefit of higher rental yield but then the downfall of higher manager fees, higher vacancy rates. As well as potentially limiting your capital growth if it’s designated – not designated student accommodation but only really appeals to students. Just be careful, always do your research. Always make sure you know what you’re getting into. Talk to your mortgage broker, make sure you’re okay on the lending front there. Try and get professional advise and always, always, always do your research. 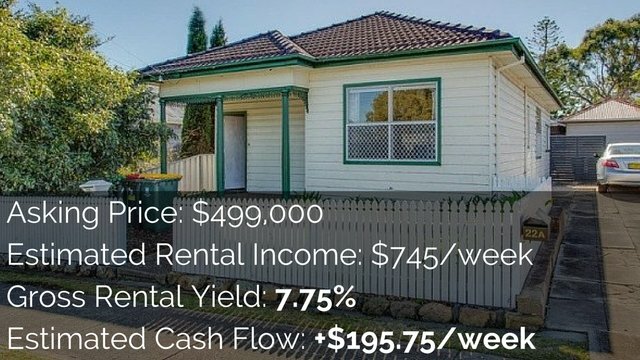 If you want to check out the calculator that we used, simple go to PropertyTools.com.au, you can sign up and get access to that calculator over there. And the tool that I used, Real Estate Investar, to search for those products, just go to OnProperty.com.au/rei, to check out Real Estate Investar – that’s my affiliate link. Is student accommodation worth investing in? Well, that’s up to you. It really depends on your situation, depends what you’re trying to get out of a property and whether or not you think you can manage those extra fees and extra vacancy rates. So, Tyler, I hope that this has been helpful to you. I hope that this has been helpful to everyone who is considering student accommodation and kind of opened your eyes to what you’re really looking at so you’re not fooled by the higher-than-average rental yield on these properties. I’m Ryan McLean from OnProperty.com.au. Love spending time with you guys and helping you out. I hope that you like this. If you want to check out more of what I have to offer, you know where to find me, go to OnProperty.com.au.